How can the CPUC improve solar in California? | West Coast Solar, Inc.
How can the CPUC improve solar in California? On January 16, Mark Ferron, a commissioner with the California Public Utilities Commission (CPUC), stepped down from his post to devote time to his fight with prostate cancer. 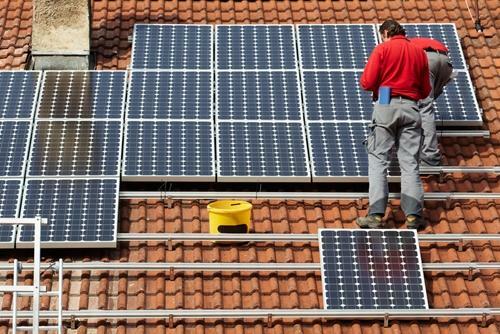 Upon leaving, Ferron issued a letter to the CPUC urging his fellow regulators to support rooftop solar in the Golden State and resist pressure from utilities to cut solar net metering rebates. Leadership in renewable energy must come at the state level, as there has been no progress made at the federal level to make solar power accessible to more families. California already has a dynamic solar energy industry, so simply preserving the programs we currently have would be a step in the right direction. The CPUC needs to do a better job of working with state legislators, who sometimes have an antagonistic perception of the commission even though they’re both supposedly serving the same purpose: To represent Californians. Better cooperation between the two institutions would be good for solar because it would reduce uncertainty about the future of incentive programs. Right now, you can convert your home to Bay Area solar power without having to make a down payment or upfront investment. We have a number of financing programs that make it possible for virtually all families to take advantage of this technology. For more information, contact West Coast Solar today and we can schedule a solar site analysis.